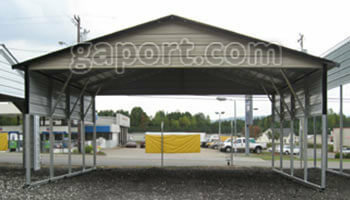 Have you seen signs alongside the road that offer two car steel carports installed for just $695? It seems hard to imagine, but it is possible. 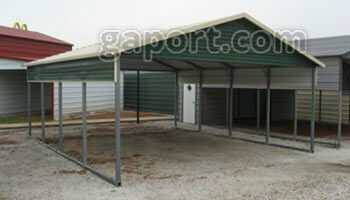 That is where we come in, offering and tailoring a carport to fit your needs and making it affordable too. 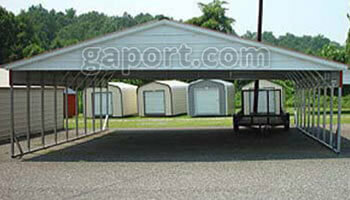 It should be noted though, there is a lot more to steel carports than just finding the lowest price! 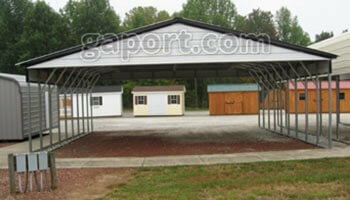 When considering the purchase of a steel carport several factors should be considered. 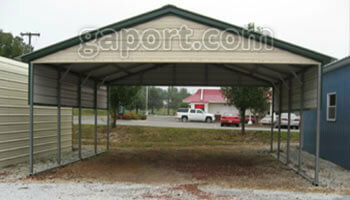 First, to be considered are the overall dimensions of your carport - width, length and height. 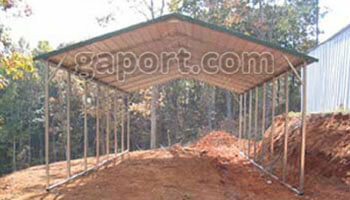 Second, you should consider aspects about the overall structure itself - framing gauge and style. 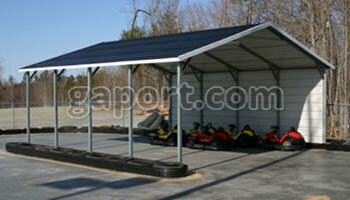 Third, give consideration to the amount of coverage and protection you will need on the sides and ends. So, you will need to consider do I need additional panels on the sides. 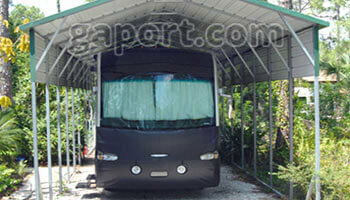 Will I need a frame out in the side to allow for entering and exiting the carport from the side? 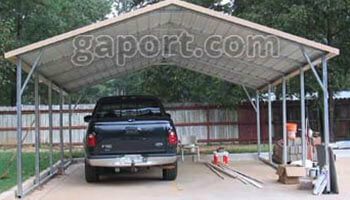 First to be considered are the overall dimensions of your carport - width, length and height. 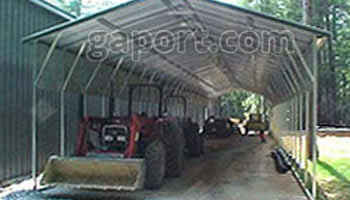 Second, you should consider aspects about the overall structure itself - framing gauge and style. 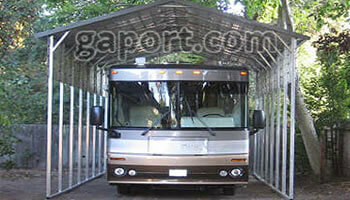 Third, give consideration to the amount of coverage and protection you will need on the sides and ends. So, you will need to consider do I need additional panels on the sides. 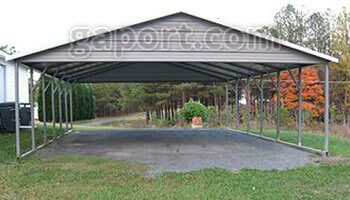 Will I need a frame out in the side to allow for entering and exiting the carport from the side? 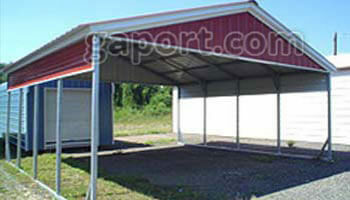 O An 18’ wide carport is the narrowest that is considered a two car carport. 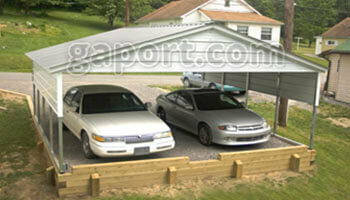 It is just sufficient for two small cars. 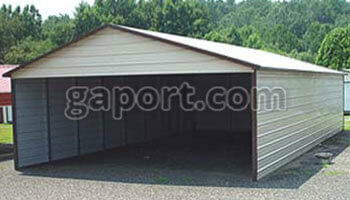 For mid-size cars it is better to go with the 20’ to 22’ wide unit. 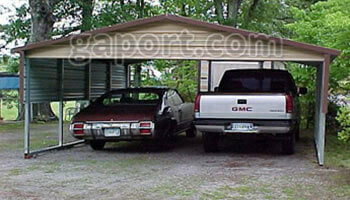 For a full-size truck and car the 22’ to 24’ wide unit is recommended. 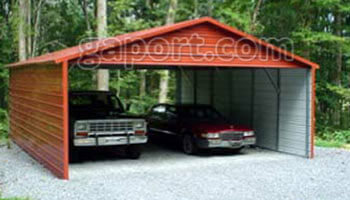 As far as the length it is recommended to measure the length of whatever you are covering and add five feet to determine what the length of your steel carport should be. 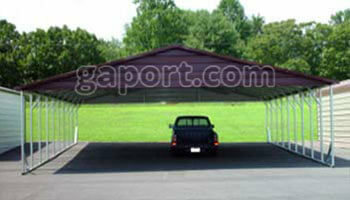 For example, cars average a length of sixteen feet; so simply add five feet to that dimension and it is recommended that you purchase a carport that is twenty-one feet long. 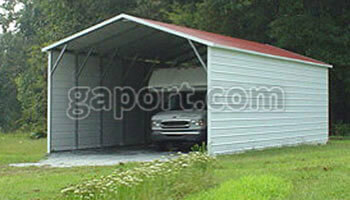 Seven foot leg height is sufficient for standard cars and trucks. You really should get an accurate measurement of what you are trying to protect and add some height to the legs to allow for enough clearance to enter the steel carport. 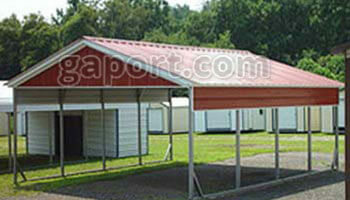 Be sure to consult with our sales staff to choose a height that will work for your equipment. 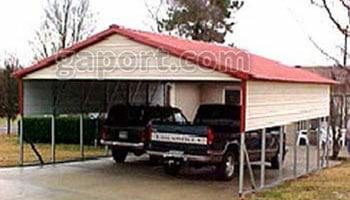 C It is also important to choose a unit that will withstand the environments unique to your locale. When a unit has a leg height in excess of 9’ it is recommended to go with the 12 gauge framing to add an extra element of tensile strength. Also, important to many is the 20 year warranty against rust through on the frame that comes with the 12 gauge framing. 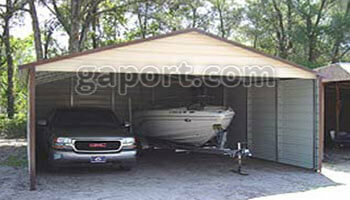 As far as style, that decision is subjective and often depends on the placement of the carport. If you are placing the unit directly in front of your home, the box eave style may match your home profile symmetrically speaking. 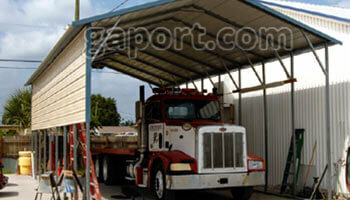 A The amount of coverage has a great deal to do with the size of the unit and the equipment to be protected. 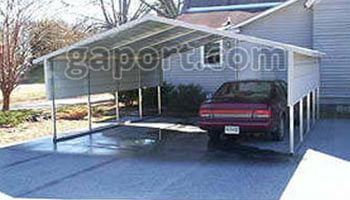 Say for instance, you are placing a box eave style two car carport in front of your home for parking under on a daily basis. 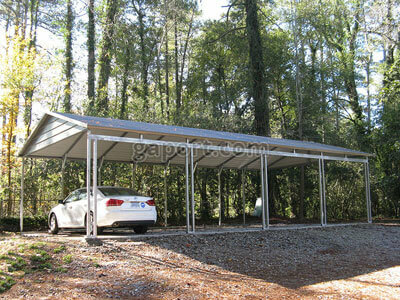 You are going to really want the car port to be functional and pleasing to the eye since it is setting in your front yard. 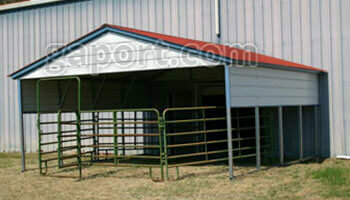 For added protection from UV rays and blowing rain/snow it is going to be best to add two gable ends. 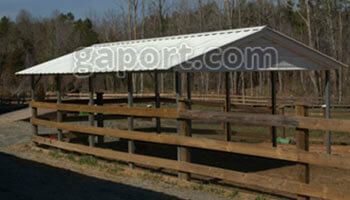 It also would be a good idea to add two half panels (one per side) to allow for added protection from the elements. 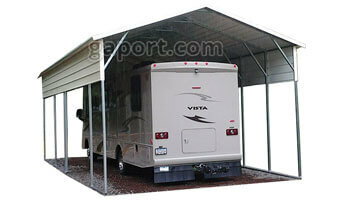 However, if you are covering a boat or RV in the backyard you’re trying to give maximum protection from sunlight and water. 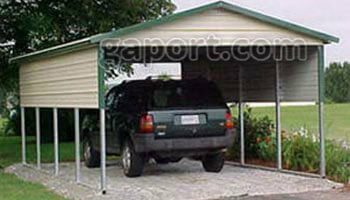 So for that added protection, consider enclosing the carport on three sides and if height permits, also put in a gable end. These are just some of aspects for your consideration. Will I need a frame out in the side? 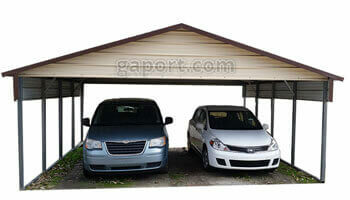 W Many people are surprised to learn that a frame out in the side of a carport is possible. 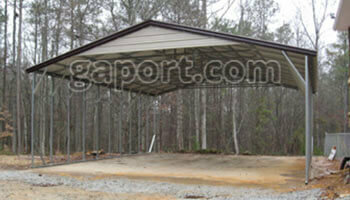 Just as in typical construction with lumber a header can be placed into the framing of the carport which allows for an open area in the side of the carport to allow for no legs in that area. 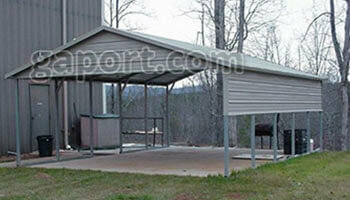 These frame outs can be up to 12’ wide in the side of your steel carport in most cases. 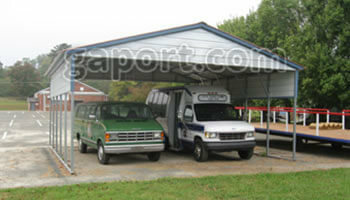 It is always a good idea to be familiar with your location or the site where the carport will be set up. So please measure your area beforehand to understand the traffic to and around the future location of the steel car-port. Some people have found that asking friends and colleagues for input is truly beneficial. 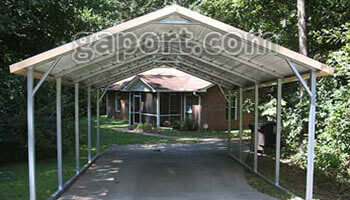 Check around and do your homework - it pays off - and you will end up with a quality steel carport that does what it was designed to do in the first place. There are thousands of combinations so you can easily customize to fit your requirements. The steel structures pictured above are merely samples to give you an idea of how you can design and personalize a sturdy structure to work for you. 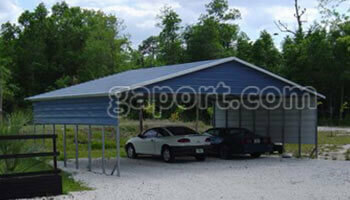 It is important to find the most cost effective metal carport solution for you. 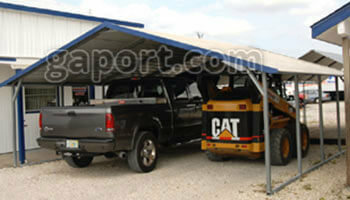 When you call, you will speak with a real person who will get you no-nonsense, factual answers to customize a steel carport to suit your needs.